Samsung has announced further commitment to mobile payments this month with the acquisition of Burlington, Massachusetts, based LoopPay. “Through this deal we can significantly accelerate our mobile commerce efforts,” said David Eun, Executive Vice President of Samsung’s global innovation centre. LoopPay gives Samsung a unique way to compete with Apple Pay for in-store, mobile wallet based purchases. The LoopPay system uses Magnetic Secure Transmission (MST) technology, allowing a smartphone to pay in-store at any point of sale terminal that is able to read a magnetic card stripe. 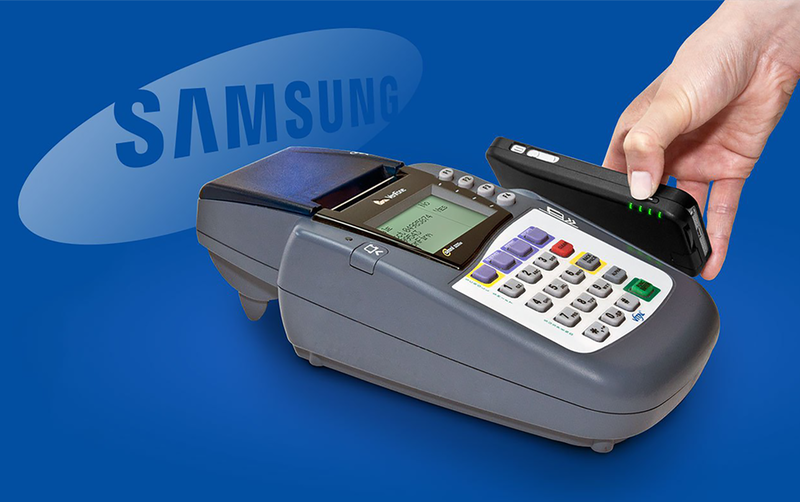 Unlike Apple Pay this removes any requirement for NFC, giving Samsung an instant market advantage, especially in countries like the USA where NFC POS terminals have been slow to take off. The phone-based wallet contains stored payment methods, typically credit card payment details. This entry was posted in mobile payment, Mobile payments, Samasung. Bookmark the permalink.